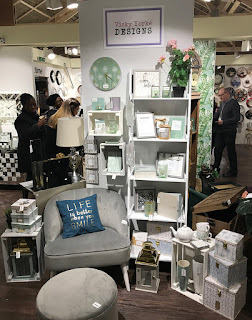 I had such an exciting time at Spring Fair! 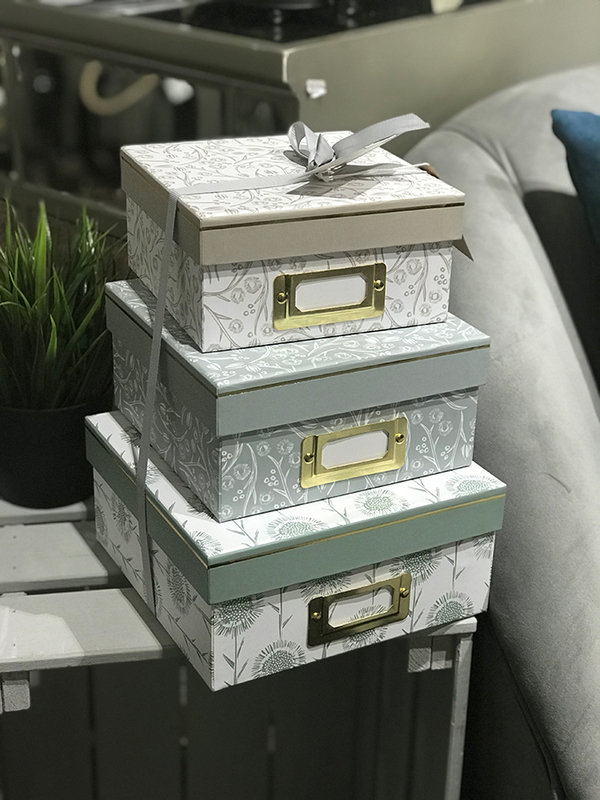 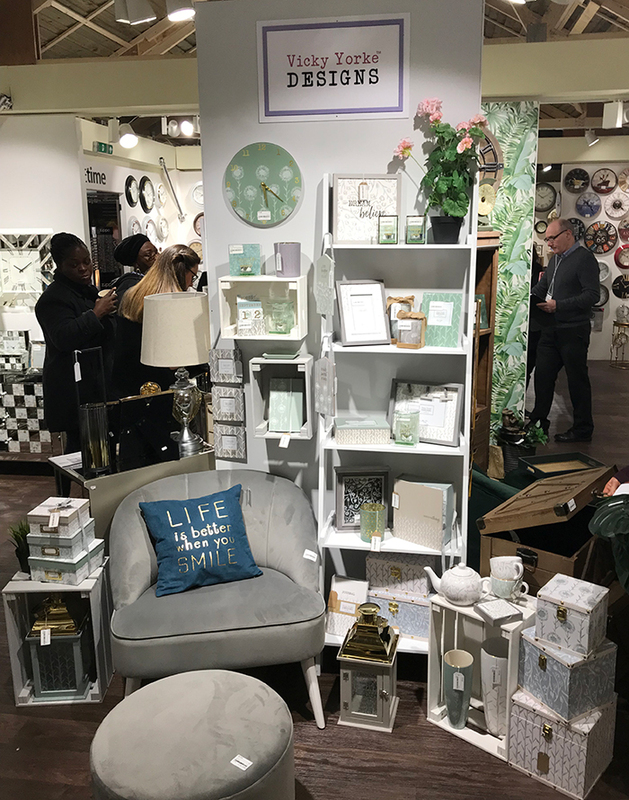 In addition to all the lovely products on display over on the Vicky Yorke Designs for Melamaster stand, it was also great to see my existing 'Sand Dunes' home, gift and stationery collection for Widdop & Co displayed beautifully over in hall 4. 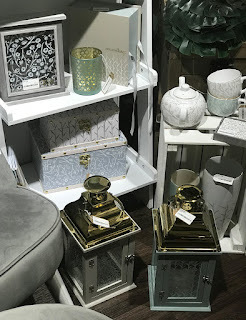 The Widdop stand is always one of the most extravagant at Spring Fair, with my collection on display within a little house ( - complete with smoking Chimney!) 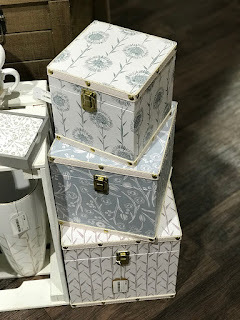 that they had built within the overall stand design! It was in a great location and it was really gratifying to see so many buyers stopping to admire the display! 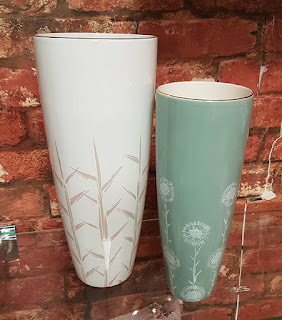 The only problem was that with so many buyers milling about and with harsh NEC lighting, it was quite difficult to get good photos... 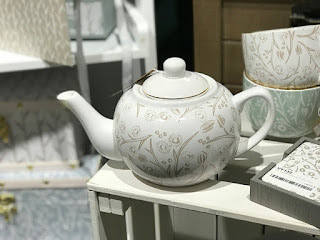 I haven't really done justice to how lovely the products are, but I have posted the best ones for you here. 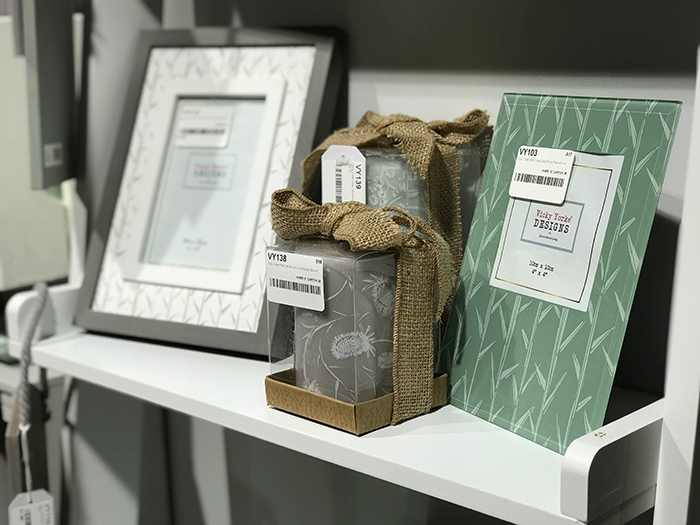 Existing products in the collection include tea light holders; oil burners; a clock; storage boxes; memory boxes; a key box; photo frames; wall plaques and wall art; lanterns; notebooks; a planner; tea pot; mugs and coasters. 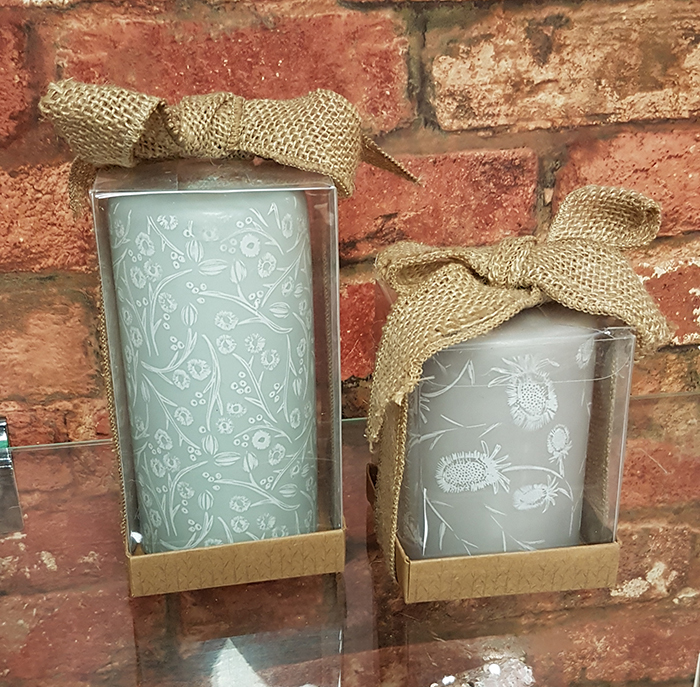 There were even some new product additions with beautiful vases in two different sizes and pillar candles with my designs printed onto the wax, all available for the first time. Retailers can place orders for these with Widdop now and these items will be in stores later in the year. 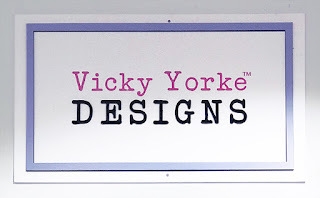 Vicky Yorke Designs for Widdop is available in independent gift shops and homeware stores throughout the UK. 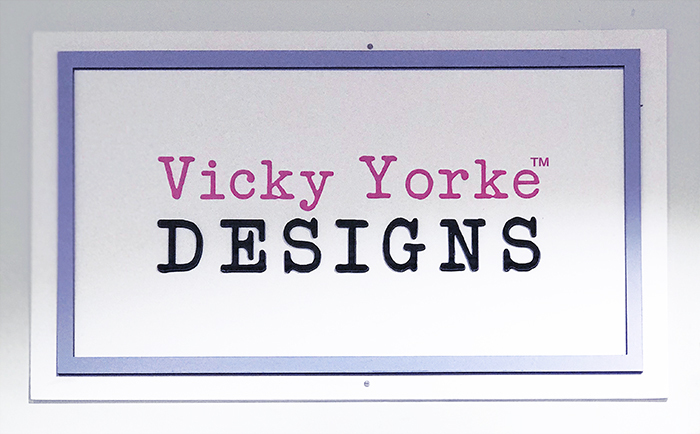 If your local store isn't currently stocking the line you can ask them to place an order by contacting Widdop.